The Nigerian Association of Petroleum Explorationists (NAPE) has doused concerns about Nigeria's ability to rack up 40 billion barrels oil reserves as projected by the Federal Government, saying that the country has the capacity to achieve that target. It however believes that Nigerian need to increase exploration activities in order to achieve that lofty target. 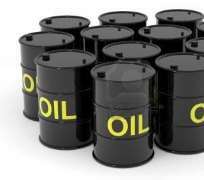 The President of the association, George Osahon, said while briefing newsmen on the association’s 31st Annual International Conference scheduled for between November 10 and 14 in Lagos, said that Federal Government had targeted 40 billion barrels reserves and four million barrels per day production by the year 2020. According to him, the Nigerian oil and gas industry is currently experiencing declining reserves owing to reduced exploration, a situation that has caused much concern. Osahon said that successful exploration and development of new oil fields would require the use of novel integrated technologies. He said that the association would at its 31st Annual International Conference and Exhibition examine critically the Nigerian oil and gas industry. Osahon said that government was committed in meeting the 40 billion barrel oil reserve target, but decried the rate of crude oil theft and pipeline vandalism in the country. He said as a country, it was in the best interest of the government to increase production. Osahon said that exploration successes in other African countries had put pressure on Nigeria as a competing destination for oil and gas investments. He stressed the urgent need to examine the effectiveness of existing policies to drive growth in the oil and gas industry as well as the development of road maps and new policy initiatives. Osahon said the association was committed to providing other learning opportunities, including short courses and field trips to the carbonate sedimentation areas in the Eastern Dahomey Basin in South West Nigeria. On the Petroleum Industry Bill (PIB), the DPR director said the association would continue to advice government on the need to pass the bill into law. “Stakeholders believe that as exploration and production experts in the oil and gas industry, NAPE should have made greater impact to ensure the passage of the bill into law. Osahon, however, said that what stakeholders should do was to make representations to the National Assembly in form of memoranda on the bill, adding that the association had already done so. 'In our own opinion, irrespective of what people might be saying about the PIB constituting a clog in the wheel of progress in the industry, we do not believe that, that is the case. “It is better if it is passed into law so that the waiting game will end. 'Obviously, if you people don't think that the bill will be an impediment, there is no reason for them to be jostling and looking for blocks. 'We will try as much as possible to continually tell the National Assembly the importance of the PIB in the interest of the country, but we cannot be more forceful than we have been,' he said. The Vice-President of the association, Adedoja Ojelabi, said that NAPE had contributed a lot to accelerate the passage of the bill into law. She said part of the contributions made by the association had gone into the second version of the PIB already in circulation. Ojelabi said apart from the submission made for the public hearing, the association had also organised workshops essentially on the bill. She said that the theme for this year's conference would be “Stimulating Exploration and Reserves Growth in a Maturing Basin”.